Agricultural development is one of The Bill & Melinda Gates Foundation’s biggest initiatives; it has invested $2 billion in the sector in Sub-Saharan Africa and South Asia primarily. Its overall mission for the sector is to help smallholder farmers increase their productivity in a sustainable way. It aims to do so through investment in research & development (R&D), agricultural policies, livestock, access & market systems, and strategic partnerships & advocacy, according to the website. And it is looking for agtech investments to support this mission. While the foundation predominantly invests through grants, last year it made an equity investment in biological inputs company AgBiome. 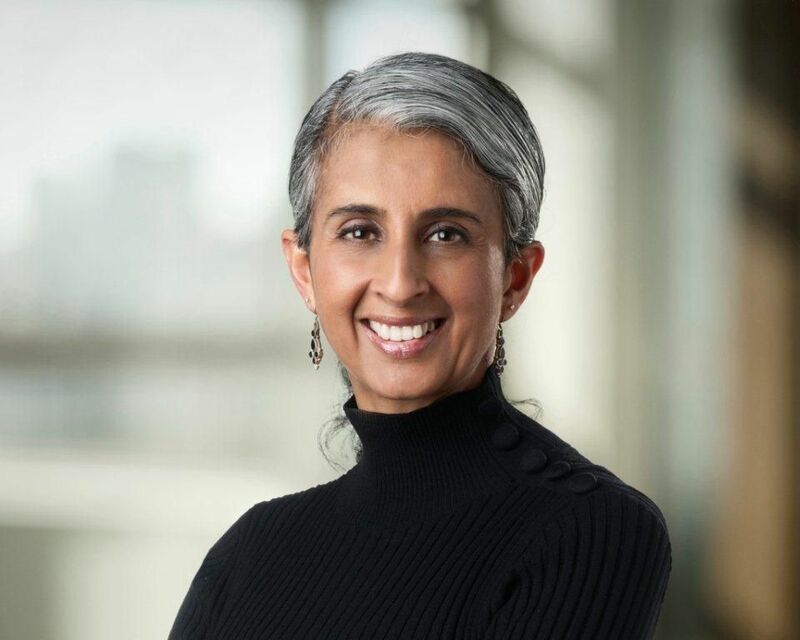 Here Vipula Shukla, senior program officer for agriculture and lead on the foundation’s agtech investment strategy, tells AgFunderNews how she views and invests in the sector. Shukla will be speaking at the World Agri-Tech Investment Summit in San Francisco next month. What is your thesis around food and agriculture technology and how did the foundation come to start investing in it? In contrast to a lot, if not most, other investors in the agtech sector, we are an impact investor. We’re interested in technologies and potential products that can really serve our mission for agricultural development in the developing world. Is there a technology, a concept, or a potential product here that’s going to be suitable and adoptable in the markets we care about? That’s our lens. We consider our equity investments as one of the instruments that we can use to source technology. Most of the investments we do are through grants, but we recognize and value the role that private sector entities can play in helping develop and deliver technology on the ground. The instrument we use is dependent on the nature of the opportunity, and that opportunity has to point us towards technologies that move the needle on our goals for agriculture development. The big component of our investments in agriculture is in R&D and discovery. And the majority are in the form of grants, which we provide to academic researchers and institutions. In some cases, those programs and projects may evolve to a point where a company spins out of it. If it continues to be aligned and compelling for us, we might consider it for an ongoing investment. Our goal is to get from technology and science to top products and services that can be useful in farmers’ fields and in the breeding programs we support. We’re very interested in a translational model, turning science into solutions for the problems we’re trying to solve. What are your specific goals for agriculture development? At a high level, our goal for ag development is really agricultural transformation in the countries we focus on in Sub-Saharan Africa and some states in South Asia. Nobody wants to be a smallholder farmer, so what we focus on is trying to find products that allow smallholders to increase their productivity; generate some surplus; bring in some income, and thereby transition out of being smallholder to potentially becoming a commercial business or leaving the ag sector altogether. Agricultural development is a means to an end for our overall mission which is, of course, poverty alleviation. We have identified key crops within our focus countries and for each one, we’ve identified key drivers or productivity gaps. The crops are key food staples for smallholders. It could be a crop-specific disease we’re trying to prevent, and then we make a bunch of investments to mitigate the impact of that. We understand that in treating one problem, a new one might arise such as a new weed, and so we also try to make investments to anticipate and limit that for any given commodity. Many of our partners are global and multinational entities and one of the first things we look at is whether any of our partners in the sector is developing something for a developed market that could be adapted for the developing countries we care about. If we can support the development of that technology, we want partners to be able to realize that value. What subsectors of agtech really excite you? One of biggest challenges that no-one has really been able to fill yet, and it’s been hard, is when it comes to below-ground phenotyping. Roots are incredibly important in cropping systems; roots and soil are key components of whether a cropping system is productive or not. There’s really no clever tech out there that allows us to look at root phenotypes and to generate data identifying superior root systems below ground. And it’s not just the roots and soil quality that aren’t understood, but the microbiome in still very much a mystery. We don’t have good ways to capture and use information about that, but there are starting to be some technological thinkers and that’s very exciting. What are the main agtech needs in developing nations? Information to help farmers make decisions around what crop varieties to plant in any given year, what’s available to them, whether or not a disease outbreak nearby could potentially impact their crops. And at the other end, when they’re looking at bringing a surplus to market, what are the pricing points? Where or when should they take to market? It’s really decision-making and transaction information that’s most critical information for them. What about technologies around data and weather? There’s a lot that can be generated on the data side, but what’s really important is knowing how to turn that data into useful information that can drive decision making. So in of itself, it may not have value for a farmer or a breeder, unless there’s information they need to make decisions. Weather technologies can be helpful, but one also has to realize that for smallholders farmers, their options are very limited: if they don’t plant because there is a hot spell coming or they delay their planting season, we’re talking about livelihoods and their source food. Rather than thinking about the weather, it’s more important to think about the climate and what can be done to make cropping systems more resilient in the face of climate change. What kind of investment returns do you look for? Primarily as an impact investor, contributing to our overall mission and goals will always be the first and most important returns we look for. We do the same kind of rigorous due diligence that other investors do, and we expect the same kind of financial stewardship that any other investor would. We want the company to succeed; if it doesn’t succeed, we can’t deliver impact. We want to show a high degree of financial stewardship to grow and increase the capacity and value of our mission. How did you come across AgBiome? My role as senior program officer for agriculture is to really have an eye on what’s happening in sector innovation and invention. I spend a lot of time with my network, going to conferences, reading scientific literature, and trying to figure out what’s going on, who’s doing what, and where innovation and creative thinking is taking place. AgBiome was well known to me before the Series B round we invested in. The co-founders were part of my network and we engaged in discussions with them early on when they did their Series A round. We continued the conversation as the company developed — no-one pitched it to me — and it went from there. We look for partners and investments that are obviously high quality and from the best and brightest in the sector, but it’s also about platforms that can be used to generate more technologies. In the case of AgBiome, they’re looking to produce a diverse variety of products relevant to the areas that we care about. Who do you work with on sourcing investments within the foundation? I reside within the agriculture development program team. There are a lot of people on the team who focus on a lot of different areas of agriculture development, but I also partner with others across the foundation. The program related investments (PRI) team is composed of investment professionals, former venture capitalists, and former investment bankers. So we partner with them and there are investment opportunities coming in from many different quarters of the foundation. As the agriculture development specialist, my job is to figure out if it’s a relevant and appropriate investment and in the execution of deals, I work very closely with the PRI team. Do you have a limit on how much you can allocate to agtech? As a foundation, we try to plan our spending so that we use the resources at our disposal in the best way possible across the foundation, but we won’t have buckets of funds. It’s very much dependent on the nature of an opportunity and whether it’s compelling or exciting enough for us to consider. In general, we try to, and we have to because of the nature of who we are, be very clear and explicit upfront about the alignment of the investment opportunity and our overall goals. How can agtech companies projects get in front of you? The Gates Foundation is different from most conventional funding agencies and investors. Typically we don’t consider unsolicited requests, so it’s up to folks like me within the foundation to know what’s going on and to seek out and identify potential partners. We have a convening power to bring experts of topics together and sponsor the discussion, and we obviously have access to the scientific community network and conferences, and meetings like World Agri-Tech Investment Summit to keep our awareness going. When we identify an area we want to invest in, we can go out and seek it. So, for example, we are developing a portfolio around the microbiome of ag to include both public sector and private sectors investments. The way we think about any tech is can it provide value to our objectives? Can it solve the problems we’ve identified as a constraint to productivity? Within any given portfolio, we are willing to make multiple bets and identify different and diverse potential solutions to those problems and constraints. We have a fairly high-risk tolerance profile.